A 33 year old Tennessee man was arrested for tampering with physical evidence. A 38 year old Scroggins man was arrested on a warrant for a traffic violation. 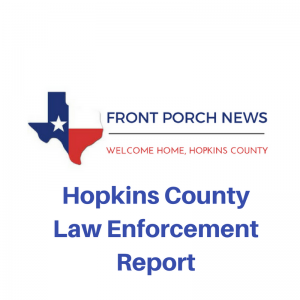 A 63 year old Sulphur Springs man was arrested for criminal trespass and resisting arrest.